Book Your Yellow Perch Fishing Trip Today! Yellow perch are a prized catch for anglers young and old alike. Known for being both excellent table fare as well as a fun panfish to catch, yellow perch are a crowd pleaser! Suited well for family trips with children, perch and bluegill are often among a youngster's very first catches, thrilling them with their feisty nature. 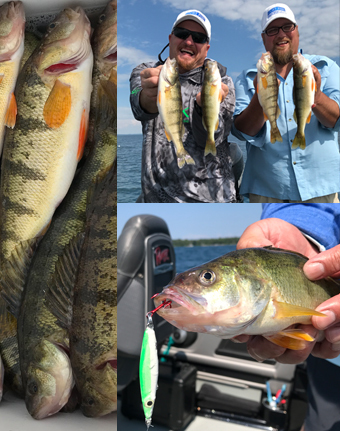 Lifelong anglers still love the thrill of targeting these fish, and they are a tremendous species for those experienced anglers looking for perch to fill a cooler. Michigan is teeming throughout the state with outstanding yellow perch action. 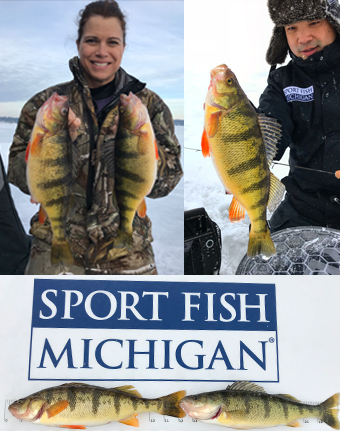 While many anglers only choose to target perch through the ice or in late fall, yellow perch are plentiful and will readily bite throughout the spring and summer, as well. 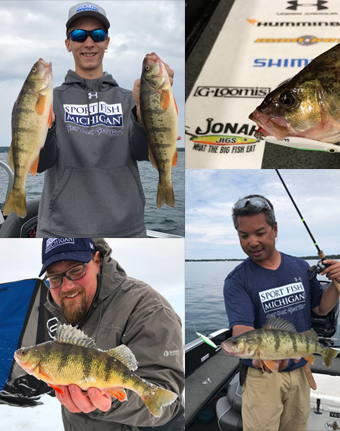 It is true that some of the biggest perch of the year come in the mid- to late-fall, but the warmer months still have plenty of red-hot action, and lots of big jumbo perch can be caught during the warmer weather. Sport Fish Michigan's Captains and Guides love to take customers fishing for these feisty and tasty fish all year long, and we have some truly spectacular opportunities to catch them in places like Lake St. Clair, Saginaw Bay and Grand Traverse Bays, as well as many of our inland lakes.